After a few years I figured it was time to update my about page, a lot of stuff has changed since I started this blog !! Hi, Thanks for stopping by my blog !! I am excited you are here and hope to share with you my love for all things beaded , and sparkly !! 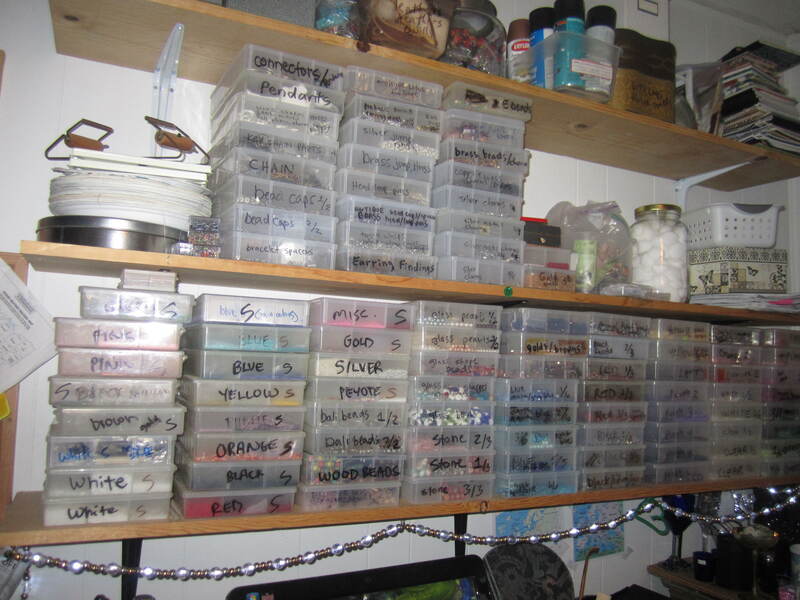 I am a bead collector (hoarder) , there is just no other word for it ! I have not met a bead I did not like !! 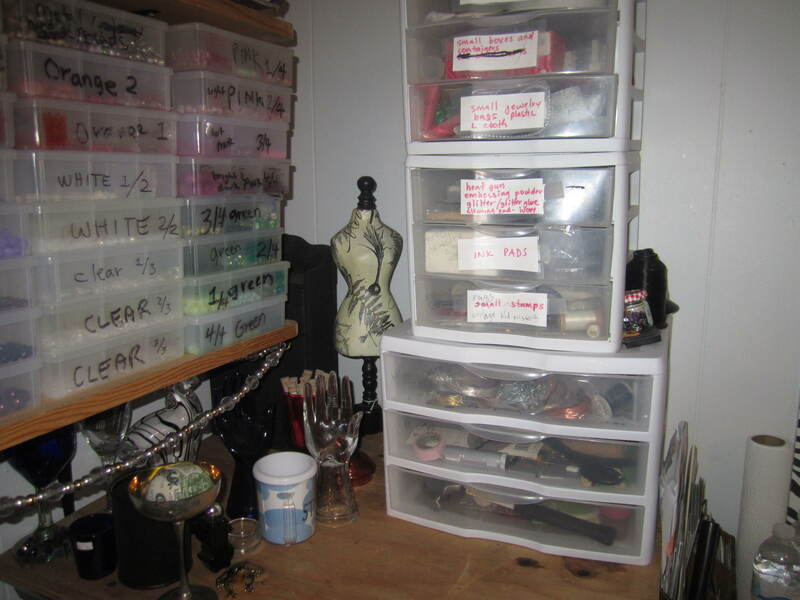 I have been collecting and beading for over twenty three years !! I started when our youngest was around 18 months and he is going to be 26 in a few weeks now !!! I love looking at them, and playing with them, creating with them. I have boxes and boxes of them, you know the ones, the little plastic ones with the twenty compartments, I have 118 of them, pretty much all sections taken ,seed beads, all kinds of regular beads, charms, pendants, and findings in all finishes, , gold plated , antique brass, silver plated,copper and Tibitian silver . I could probably have more containers, but I have doubled up many compartments when I only have a few of each bead, finding , or charm . I do have around six or seven empites waiting until they are needed !! since taking these of my studio we have moved a few times , but I left these pictures of my studio in our apartment so you can see the studio I had for a while. It was a very nice one !! You can tell by my flower they were taken in the winter. So, we loved living closer to my husbands work, he works 45 miles from our town, so we had moved up there to try it out but missed our family, friends and house, so we moved back to town but into another house we bought as our kids were still renting the house we left for the apartment and had our son in laws extended family living with them and could not move out. No one would have rented to that many people and pets, but our house was plenty big enough to handle it. 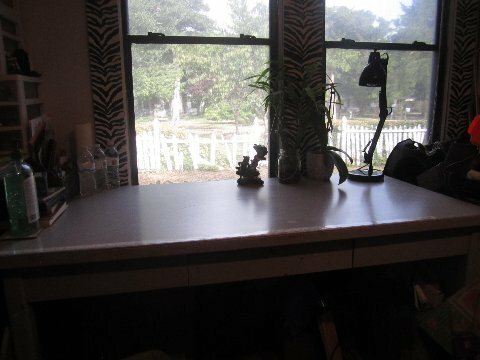 I set up my studio in our new house, knowing our youngest son would be moving in a few months later when his apartment contract was up. He needed a break to recoup after four years out on his own. 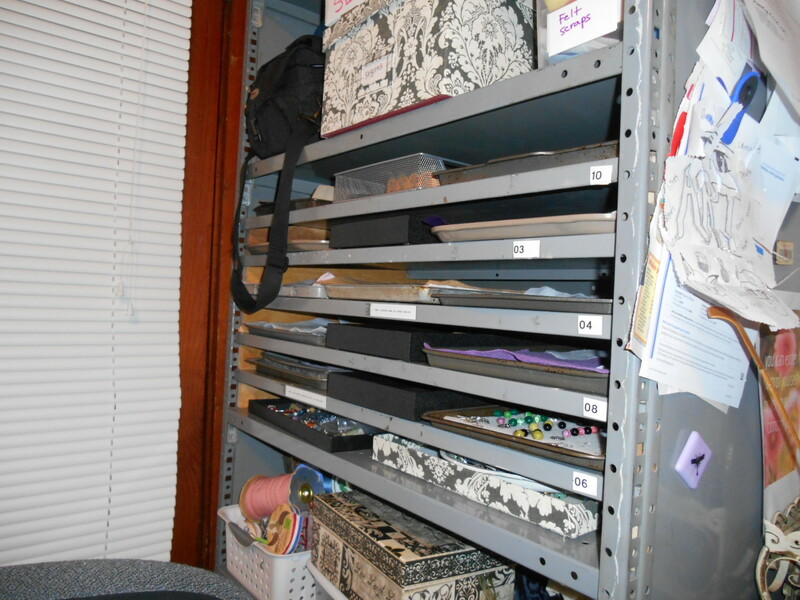 So, this was my beading closet with all my wonderful beads , findings ,and sequins , along with all my other fun craft supplies were in this closet. 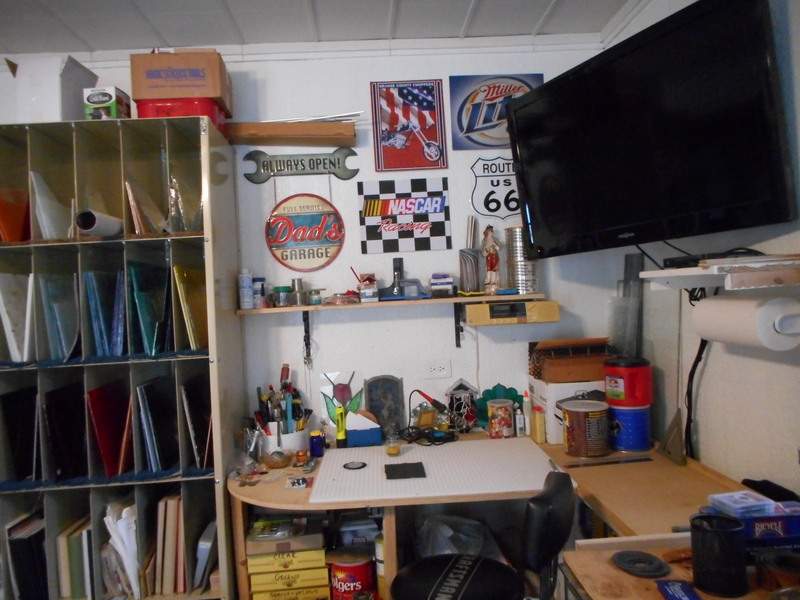 It was a step down from my apartment studio, but it was a place to work as I had a table set up in there to work on. I knew it would be hard to not have a room for my stuff, but the reward was getting our son home one last time, and I wanted to enjoy that time with him. I knew once he moved out again, he would not be moving back again. 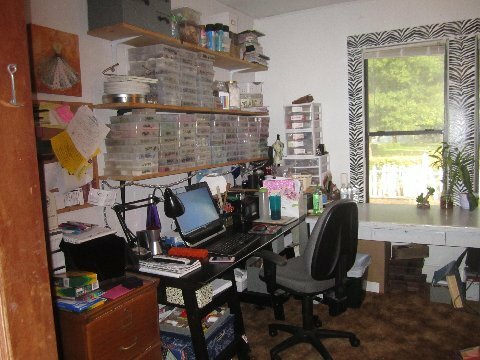 I also knew our really big living room could be used for my bead storage and still have plenty of room left for us to live in it !! 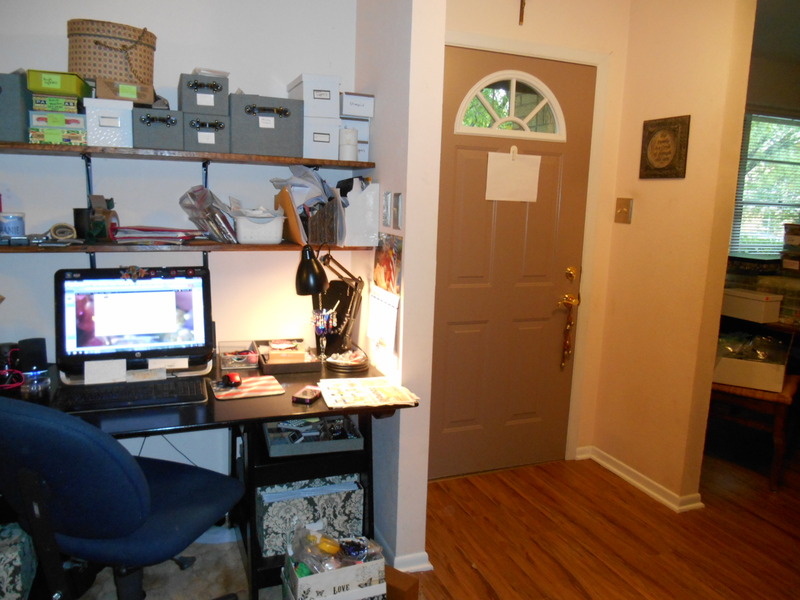 here is is, my bead boxes, a lot less back then, and my desk, and the dining room right there for me to work in . It was a lovely big room !! We really missed our lovely old house so, that Thanksgiving weekend when we found out the extended family were moving back to Calif after the start of the year, we asked the kids if they wanted to trade houses with us so we could move home , and they were thrilled. 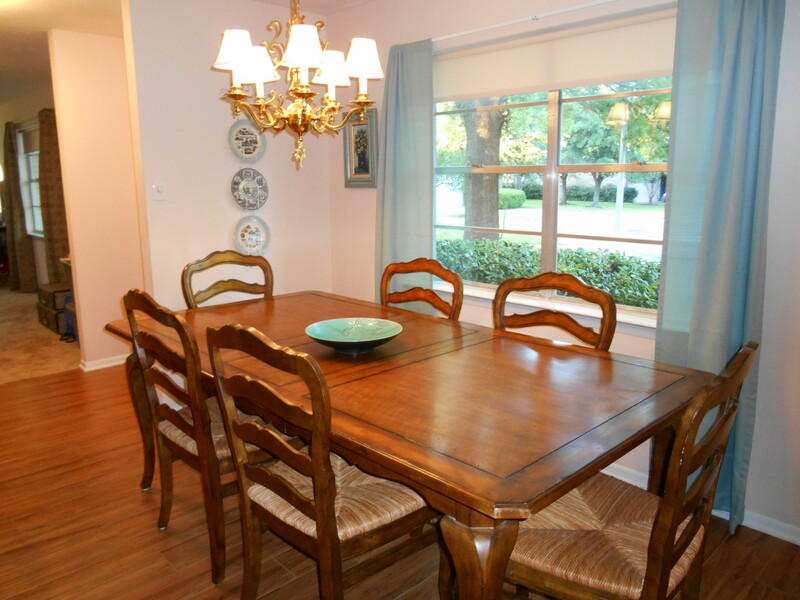 So, March of the next year 2014 we got to come home and they rented our other house instead !! 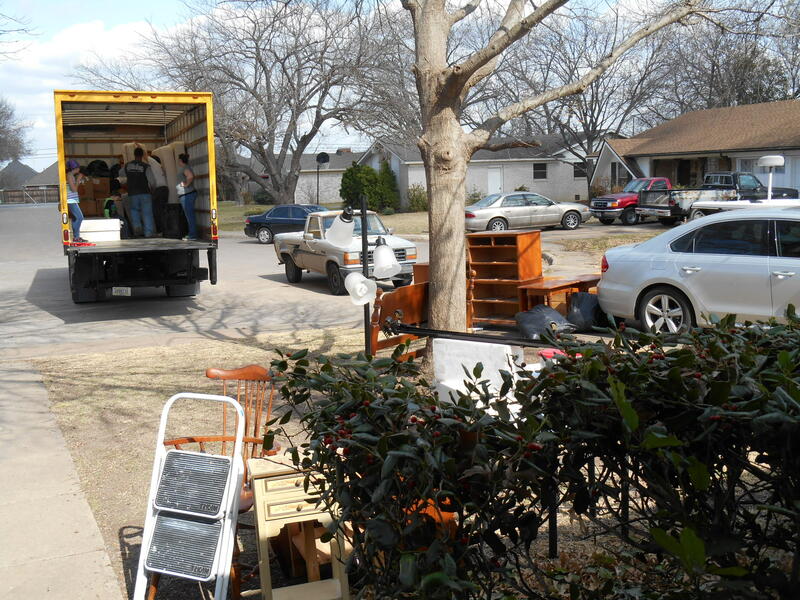 DO not ever move two households from one house to the other in one day, it is grueling . 12 hours almost to the minute is what it took. 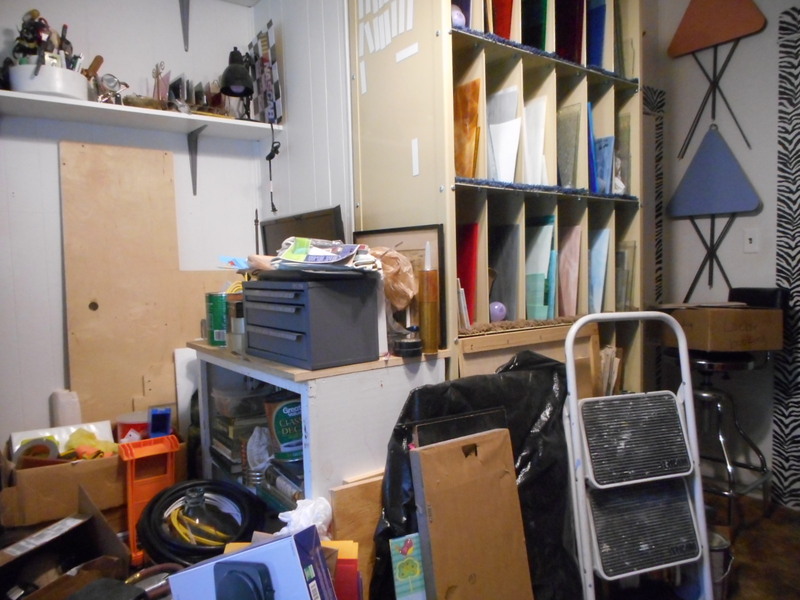 This is the new studio after we moved in, what a nightmare !!! What we thought would be an easy move, was not at all !! looking at the hall door, so disheartening !! 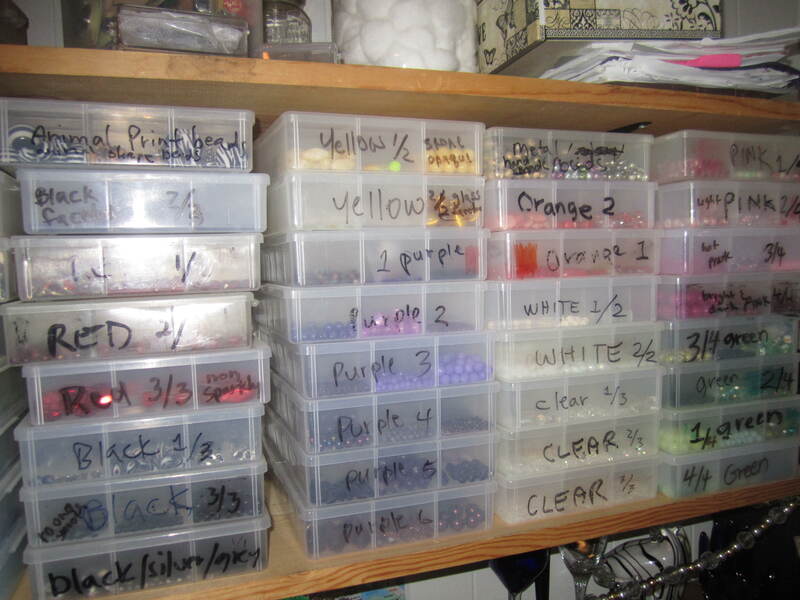 I finally got my side set up and again, a lot less bead boxes than I have now !! 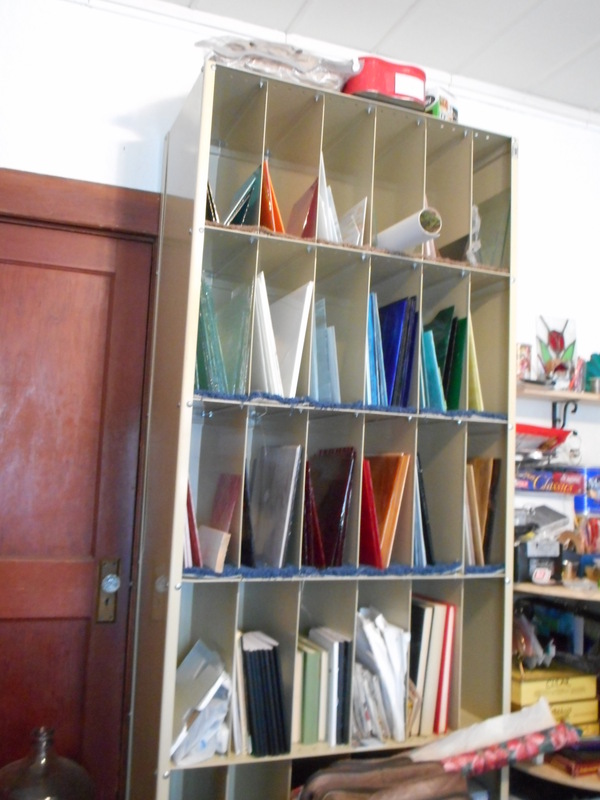 he made me some beading tray shelves, something I have always wanted for the projects I always have going !! all was well, we were starting to work on some stain glass pieces together and then our world changed again. 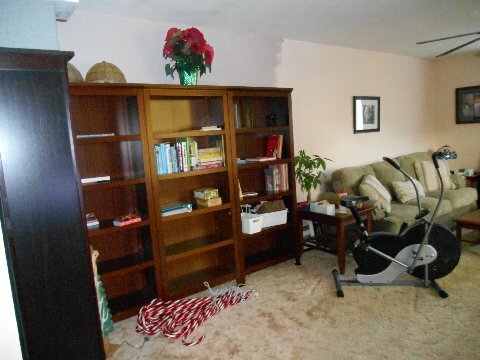 Our son in law had been hit by a car while jogging in early Dec , and finally came home from the hospital but could not work. they lived almost an hour away and they needed to get back in town near family . So, we offered them to move in with us, our son was planning on moving out but bumped it up a few months so they could get their girls registered and starting school. 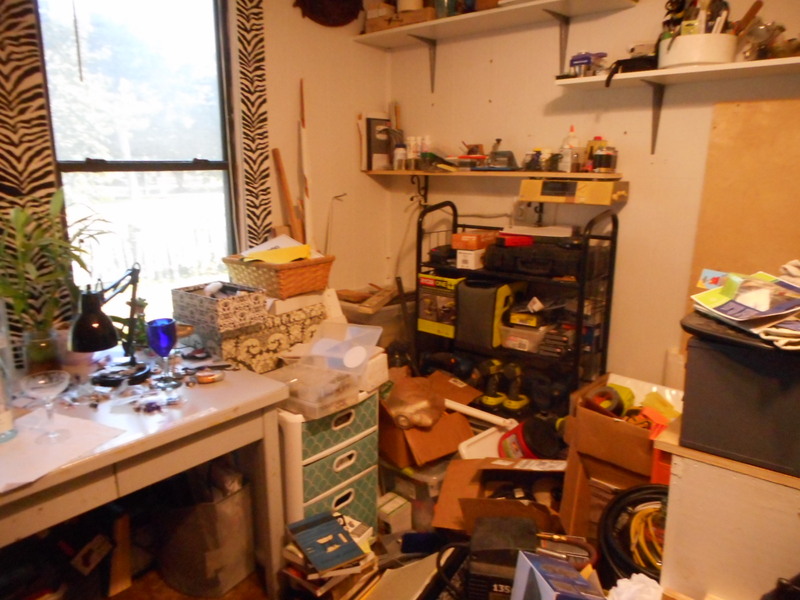 We could have kept our studio intact, but they needed that bigger front room as their room, so we moved our studio AGAIN to the middle bedroom so they could have that big front bedroom for their room. 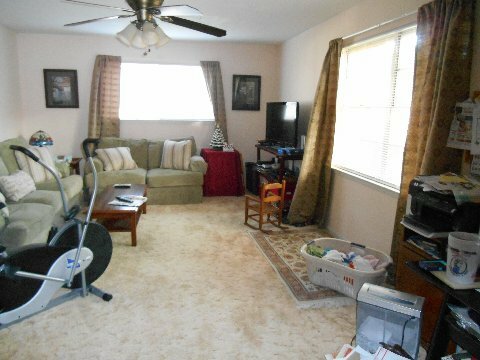 Giving them, the front living room, that front bedroom and a bedroom for their three girls, our grandaughters, behind the living room, kitty corner to their bedroom across the hall. 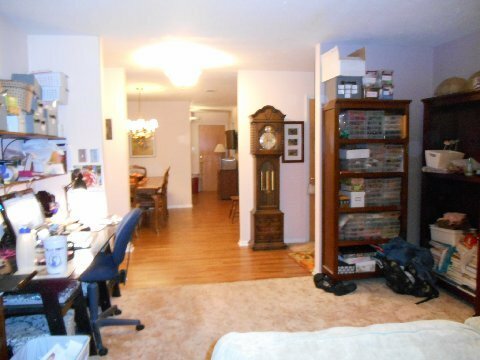 We are next to their bedroom on the same side of the hall as we had been, but it gave them those front three rooms. 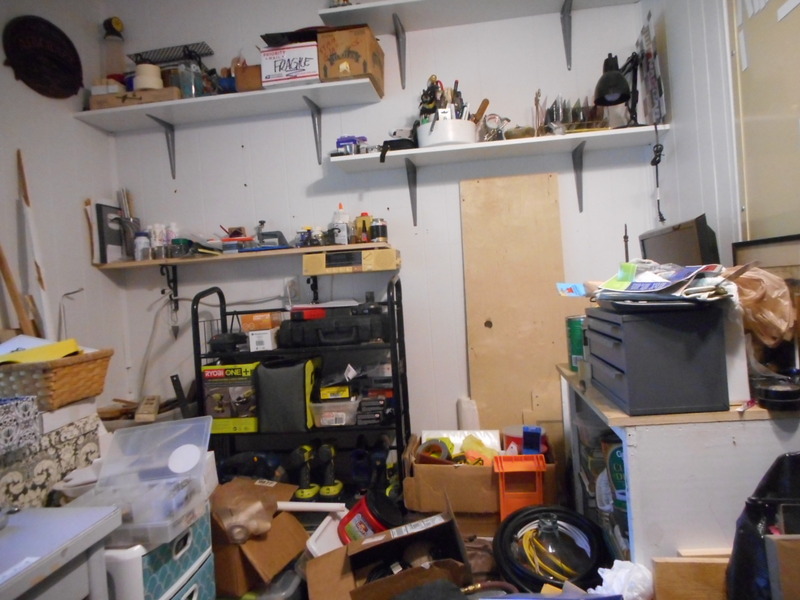 It is a much narrower room then we had and it is not as much room to store stuff so I am constantly in a mess until we can gut out the closet and put in shelves. Our son in a law is doing much better and should eventually fully recover with just some minor reminders of injury we are hoping , but right now he is dealing with nerve regeneration so he can walk normally and that can take years but he is working very hard to do what he can. We are grateful to have him, he was lucky to survive and we know we are so blessed that is he is here and doing better every day !! 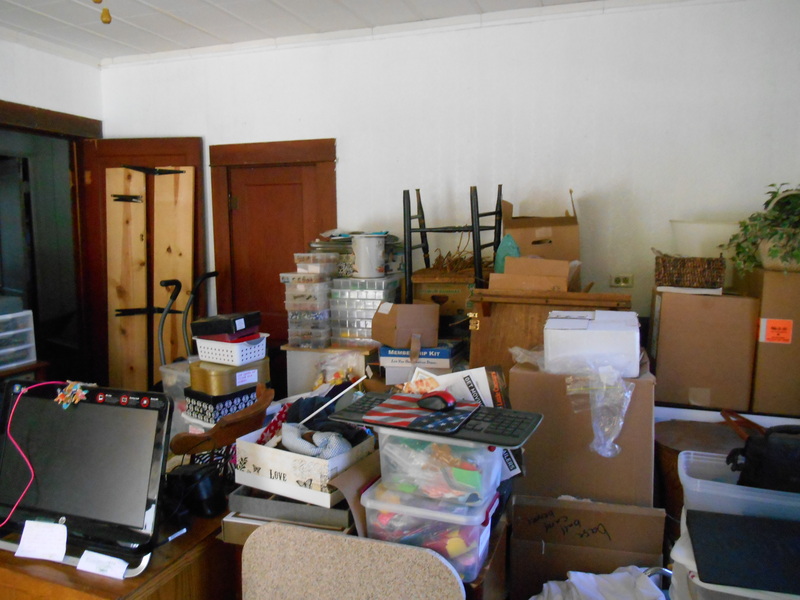 So, here we are now, I am all moved in, set up for the most part, but kind of a mess as I have a lot less room in here, and Davids side is a mess and still not together. We started a kitchen reno becuase our 90 year old kitchen was just getting too hard for that many, now a family of 7 to work in. We have been at it for months and are hopefully getting the cupboards up soon and will have a stove again soon too !! 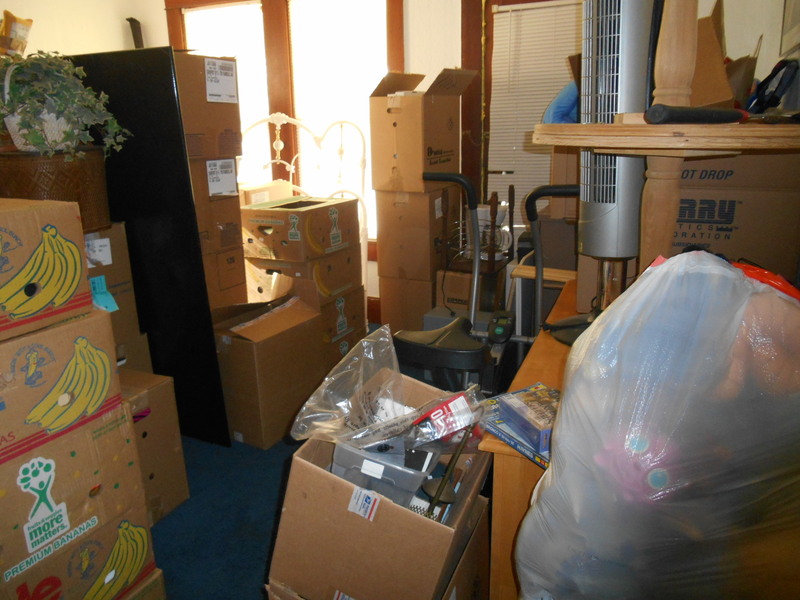 After the kitchen is done, we have to get the kids house ready to sell and that entails some bathroom renovations. So, it will not slow down for a long time around here !! here is my side of our current studio, the picket in the background has been all replaced and it is pretty again, a big job but well worth all our hard work. A much nicer view out my studio window. 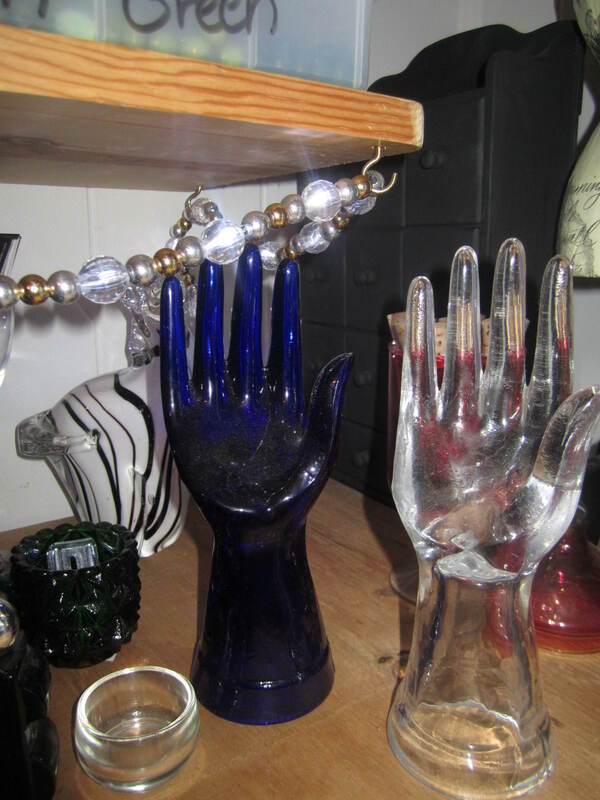 with ongoing work in the ktichen and him working so much overtime, Davids side is a hot mess of his glass studio stuff and the kitchen reno but at least his uncut glass is safe on its shelf . Hopefully this winter, we can get him back up and running, but not until a lot of other things are done, but the room will not be changing again while the kids are here, but once they move out again, I will be moving back in my big pretty front room, David will take over this room for his studio at that point. He loves this room more. My work bench today as I took these pictures, looks fun, but it is an empty wine bottle I got from our daughter and son in when I saw it in the ktichen, I am drinking crystal light, but I was taking pictures of wine charms and wine bottle charms for listings and posts. I am not really a wine drinker at all, so it’s pretty funny I make wine related charms !! I absolutely love to take apart old, worn, or maybe not attractive things, that have pretty parts and use them to make new things. I find it very satisfying to see what I can do to give those items new life, be it a bead, charm or finding. Searching for and finding these treasures at garage sales and thrift stores is one of my very favorite things to do.Both David and I cherish those days we get rarely anymore to go out to yard sales and thrift stores. In times past, we spent many a day enjoying the hunt on his days off, , but just too much going on and too much overtime being worked , but someday soon we will be able to hunt at sales for treasures again !! Why a blog ? I love to bead and want to meet other beaders and artists and writers and learn from them and teach what I know when possible. I love to learn new things and always enjoy sharing what I have learned. I am an avid reader and like many life time readers I also love to write, always have, so a blog was a perfect fit for me. I have a store on Etsy by the same name as my blog and have a link to it on my home page. I am constantly growing and changing what I do and look forward to do more interesting things and learning a lot. I recently discovered the Etsy community section of the site, and what a wonderful thing that it. If you are interested in selling your creations and have not started, or have an Etsy store already, but like me, are still learning and need to learn a lot more, check out their community area, there are so many interesting videos and teams to join. Etsy is a wonderful community of artistic people !! I am constantly amazed and inspired by the artists on Etsy. I am going to be trying a lot of new things here and will take you on my journey !! I am hoping to meet other beader/ bloggers and see what they are up to and share what I learn and learn from them !! Even after more than twenty three years I have so much to learn, and there is always something new to conquer in the world of beading !! I have not tried more than I have tried, raising kids for 30 years, I stuck to what I knew and love and now I am ready to step out of my comfort zone and try new techinques and learn new skills !! On my personal side, I am a wife of almost 35years to my wonderful hubby and we share four kids and seven grandkids. They keep us pretty busy. Both my husband David and I are also avid but still amatuer photographers and he is also a wonderful stain glass artist, currently not working on his art because of the reasons mentioned above, but hopefully soon he will be working with me again on wonderful items !! So, we love to take photos, go to yard sales , thrift stores, and antique stores , and watch tv, we like tv a bit too much, I will admit that, and we love to be creative. We have a lot of fun and enjoy our life together and see our kids and grandkids whenever we can which is a lot more now with all the grand kids in the same town, only our oldest son, a SGT in the army lives in another state. He is trying to get closer to us and his kids as fast as he can but makes it out as often as he can for visits !! I have been at this blogging thing for a while now, that is why I decided to update this page as it was very out of date !! I am enjoying the blogging community and meet so many amazing people this way !! I am a big blog reader as well and have made some true friends along the way with some fellow bloggers !! So, to sum it up, I am a wife, mom , and Grandma but still a little girl inside that loves my beads and wants to create. I am still relearning how to play more in the studio, and not worry so much about what will sell, but what sounds like fun to make !! I am a work in progress !! 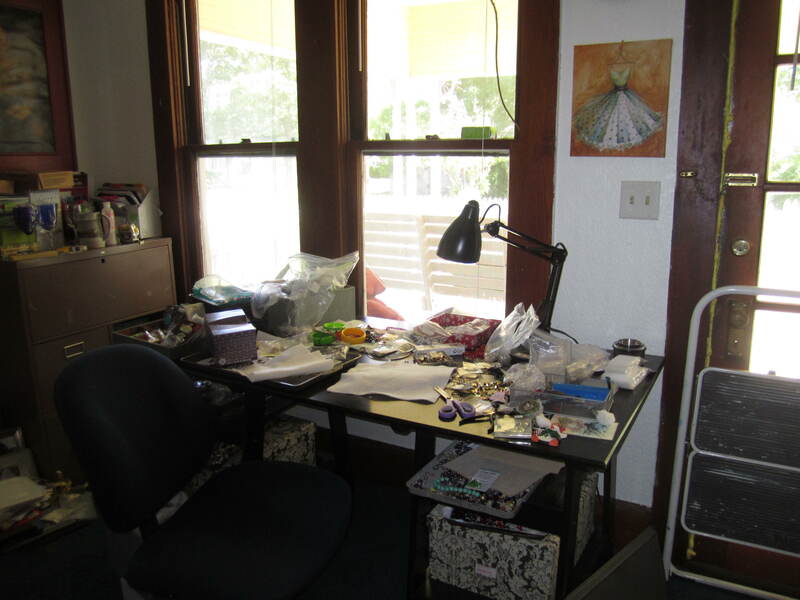 Since updating this a year ago next month, I have closed my jewelry making portion of my business and I am concentrating on sequins and seed beads, my true passions. I will update this page completely at some point, but for now, just will add this update. My newest posts from the end of August 2016 amd start of Sept 2016 have much of my plans laid out. 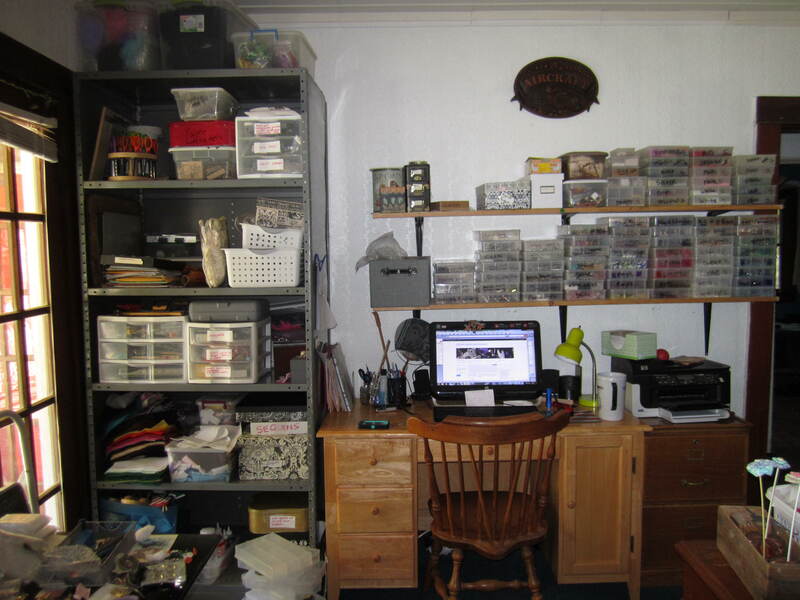 I will update pictures of the studio with a lot more beads and sequins as soon as I can. 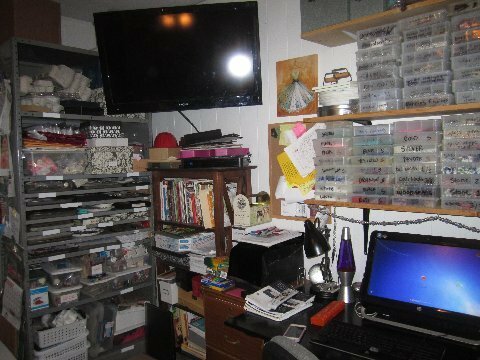 It is a pretty big mess right now as I get ready to launch my new website Sequinsandsilver.com in October 2016. Thanks so much for joining me on my journey, I hope to join yours too !!! Hi, thank you for visiting and following. We may share our ideas on beading too. I wqould like that !! I am always looking for new ideas and suggestions and I am always happy to share my experience and ideas with others !!! You have a great blog, actually, looks like you have more than one, and Etsy and Twitter too! How wonderful! I’ve “tweeted” a few times, but for the life of me, I just can’t figure out how to do it right! LOL! Oh well, never too old to learn, right? I haven’t posted much about my personal life. Our lives have differences, but we have many things in common too. Didn’t have my first car till I was in my 30’s, and even then, it was only so I could chauffeur the kids around. Didn’t drive out of town till my 40’s, s-c-a-r-y!!! Found myself divorced at 50. Thought my husband was encouraging me to go to nursing school after the kids were on their own so we could have more financial security together. Guess he just didn’t want to feel guilty about leaving me alone, in debt, AND no way to support myself. HA! My way of conquering the whole “feeling useless, stupid, & scared” thing was to buy an old RV and drive it all the way to California alone (well, I brought my dog). After a couple of years of traveling I had several internal discussions about “wanting my life back” when it occurred to me that I didn’t really want “that” life back. I wanted a NEW life. MY life. So I came back home and have been working on “finding” (and liking) myself ever since. God bless you, Steph! We’re all in this together. Keep at it and you WILL find your way… YOUR way! I am so glad you dropped by and said hi !! Thanks so much for your kind words. I have always been a writer, since I was a kid so blogging came natural to me. I have three main blogs I use, but somewhere out there are a few others that never took off !! Wow, you have been through so much but it sounds like you are finding yourself and I think that is somethign we are all doing, especially after having kids !! I started my time to be me blog for that reason but I do not post there as often as I should. It is not that I have found myself and do not need that blog anymore, I am just too all over the place, ADD is as active in my adult life as it was in my childhood !! I jump around too much and need to find ways to direct my thoughts a bit better, a life long battle unfortunately !! Twitter is much easier than you think once you get the hang of it. I got it hooked up to the blog through the widget section and it took time and I honestly could not tell you how I did it, but I kept at it until I got it hooked up. setting up a twitter account is a breeze and then Etsy is free, you just pay 20 cent per item to list them for four months and they have buttons to click as you list to put it on your facebook or twitter it !! If I can do it all, Trust me, anyone can !!!! As I figured it out and set it up I really was proud of my accomplishments, we did not grow up with all this, so figuring it out in my fifties was a challenge !! It is all a lot of fun and meeting new people is the reason I do it !! I am trying to look for new blogs more often and that is how I found you. 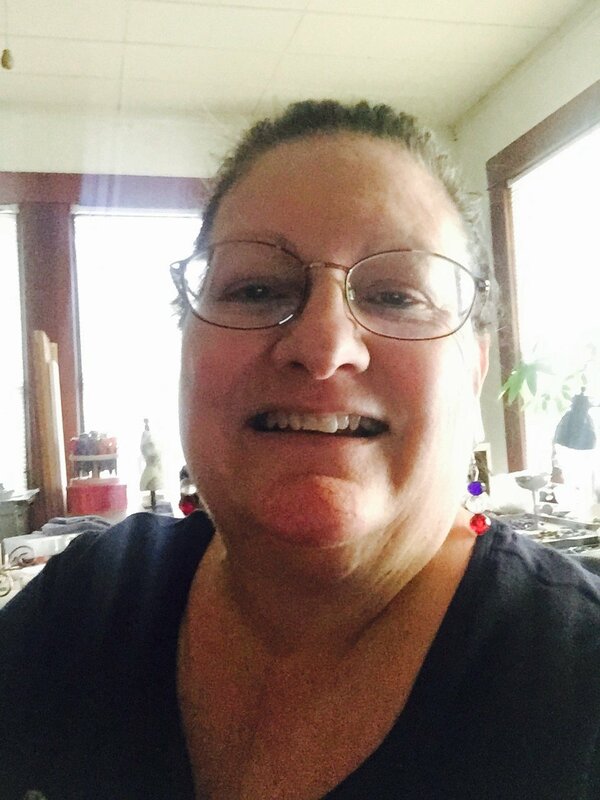 I love to find like minded people to learn from and share with, I have no beaders in my day to day life and so I enjoy sharing my joy of beading online with all the wonderful people I meet here and on thier blogs !! Right back at ya, you will find your way too and we can encourage each other. If I can help you with anything, just ask, I will do my best to help all I can, I figured it out once, I can at least look at what I did and see if I can explain it, lol !!! I have no doubt you will figure it all out without any help, it just seems a bit overwelming at first !! Just now seeing this comment. Having trouble figuring out how the comments work. Also been very busy. Went to the Country Living Fair in Atlanta this weekend. Wow! they have LOTS of jewelry makers there! I thought of you. Hope you’re doing well! Enjoy having you as a blogging friend! HI Gina, nice to hear from you !! Sounds like fun, I do not get out to enough fairs any more. I want to start looking for some, they are really fun this time of year !! HOpe you are doing well, we are great, thanks so much for stopping by !!! Just wanted you to know, I nominated you for the Leibster Award. Go to my site and read the instructions on my post about the award. Thank you for discovering my photography blog http://www.throughharoldslens.com. Hope you enjoy your journey. On behalf of the Through Harold’s Lens Creative Team, my trusty sidekick Mr. SLR Nikon, his brother Mr. Pen Pal and myself, we wish you the best. I thought I’d come and visit you before I try and go to bed. I have insomnia and haven’t slept much in a couple of weeks. Nice to meet you and looking foward to getting to know you , I am so happy I found your blog !! I am so flattered and honored with all the awards you sent my way !! I am so touched , thank you !! With my eye, the house reno and two big orders I am working on, I am behind on my blog and emails !! I am not sure I will be passing them on right now, I have too much on my plate and I have no clue how to get anything on my darn page. I got an award years ago, and never could put it on my side bar. I have never liimited computer skills, I can email, blog, search, get on my social media, but the blog overwelms me a lot. I know there is so much more I coudl do with it, but I Have no clue how !!! I just do the best I can !!! I hope you know I feel the same way about you !! I have so much respect for you and I appreciate so much that you follow me and take time to post on my blog and I will try to do better at that myself. With the five extra people in our house right now, three kids 8 and under, and no kicthen, just our sink right now, there is a lot on my plate and I get a bit overwelmed. I will do a quick thank you blog and send people your way, I want to at least do that for you as a huge thank you !!! you are so sweet, thank you again, soooo much !!! !